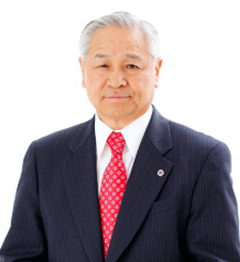 Company Profile | Goshu Yakuhin Co.,Ltd. Following its founding in 1947, this company established its basic philosophy as “The sun, water and nature are the source of life.” Under the theme “Beauty and Health”, the company tackled the goals of developing unique products and supporting good health. 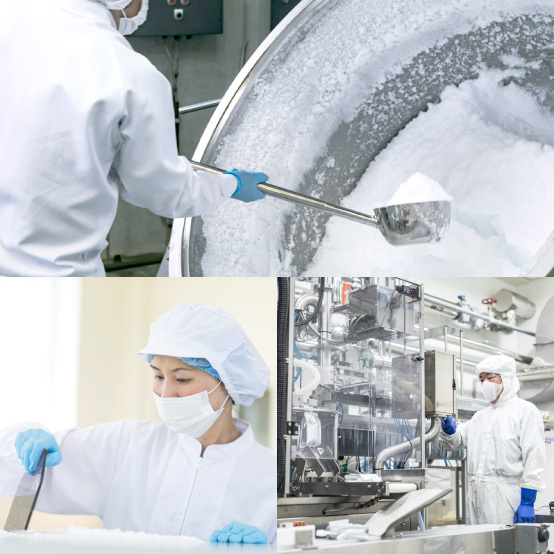 Beginning with the use of the papain vegetable enzyme as a bathwater additive, the company developed a wide variety of products, including non-medicinal items, cosmetics, functional foods, beverages and drinking water. 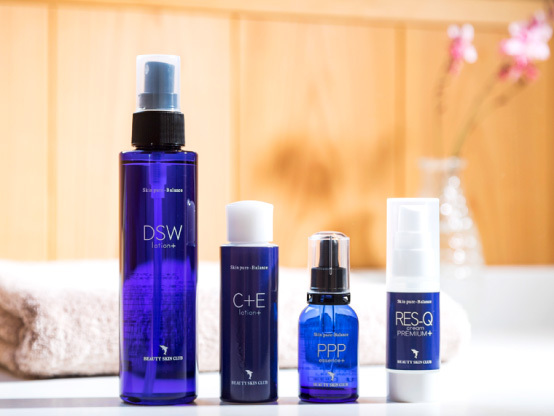 Among these, the bathwater additive Togenis a favorite with many customers. 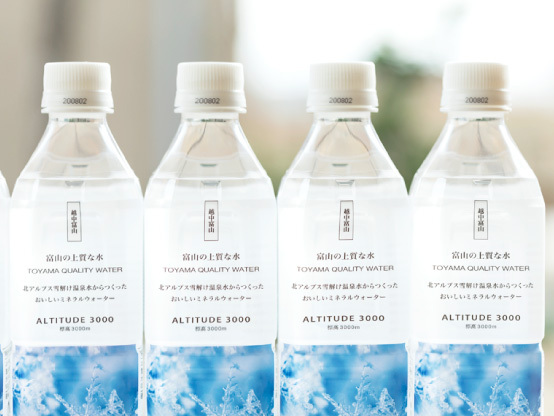 Recently, we have developed a new business that takes advantage of unique high-quality regional resources -natural water from the Northern Alps and deep sea water. 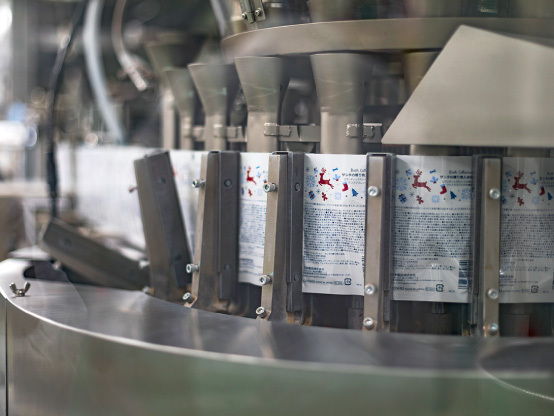 In order to meet the needs of our customers, which change daily, it is important that we intensify our technological development strengths, and strive to proactively develop original products that connect with the future. Going forward, in order to deal with a rapidly changing society and natural environment, we must increase our efforts to contribute widely to society as a manufacturing business supporting healthy life styles for people, making the best use of experience and achievements we have garnered over the years. We ask that you continue to support us with your guidance and encouragement in the future. Under the theme “Beauty and Health”, we handle a wide variety of products, including non-medicinal items, cosmetics, functional foods and beverages, mineral water and deep sea water-derived materials, etc., from the planning and development stages to manufacture and sales. 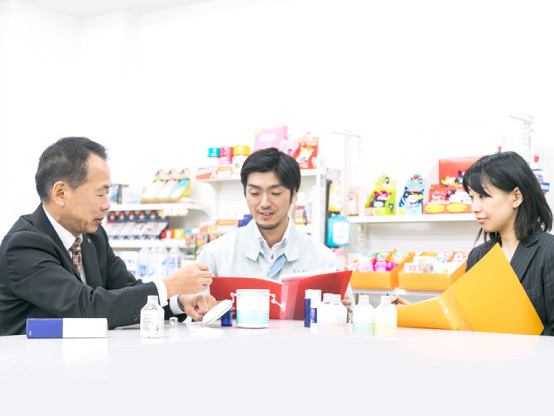 Japan Bath Additive Manufacturing, Ltd.
Toyama branch of Sumitomo Mitsui Banking Corporation etc. At Goshu, we manufacture each product carefully under strict quality control at our clean factory in Toyama, Japan. We have obtained ISO 9001 certification and FSSC 22000(*BIB filling line) which is the world's highest food safety management standard. Our fillers are compatible with various PET bottles equipped with high-speed filling lines, multi-bottle compatible lines. 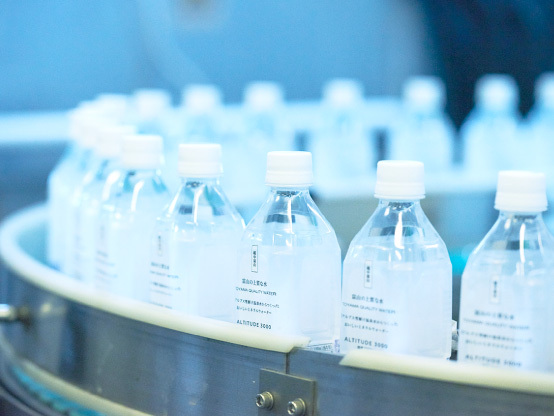 The high-speed filling lines are the leading mineral water production line in Japan and has obtained ISO 9001 certification. 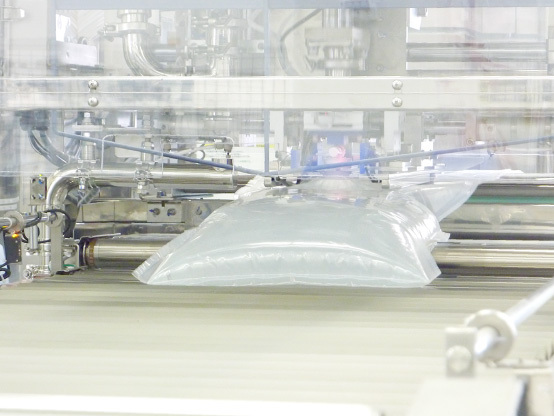 New BIB (Bag in Box) filling line was established in 2013. We are certified FSSC 22000 which is the world's highest food safety management standard, we produce a wide range of products mainly from 6L to 11L of BIB. Equipped with deep sea water separation equipment inside our own factory, deep sea water pumped up from Toyama bay is separated in (1) desalinated water (2) mineral concentrated water (3) concentrated salt water (4) salt and (5) bittern. Goshu has various production lines and can correspond with the production of various kinds of bath additive products such as bottles, sachets, die-cut packages, pouch bags, etc. according to customer's request. For delivering safe and high-quality products to our customers, we have a thorough quality control system. 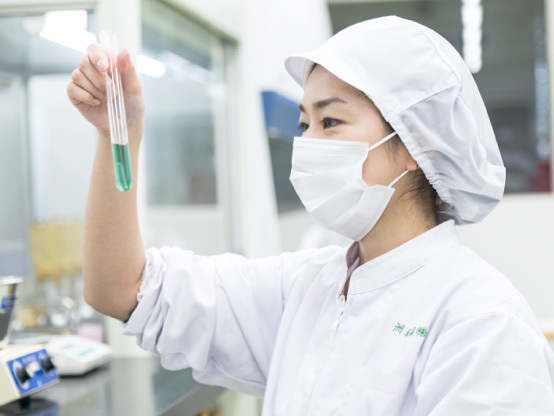 Not only conducting sensory tests from accepting raw materials to preparation, blending, and filling, but also we conduct physicochemical tests and microorganism tests, and only products passed strict tests can be shipped to the customers. The philosophy that "R & D is the manufacturer's life" is the motto of Goshu continues from its founding. 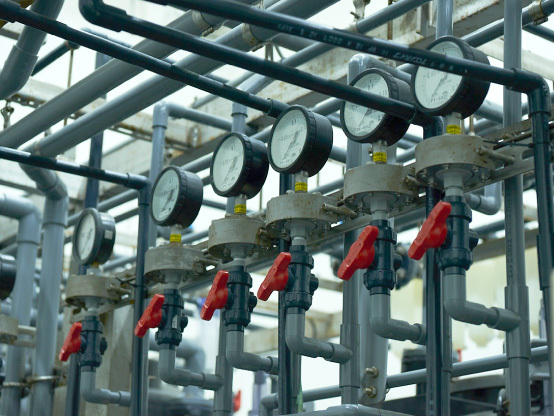 We have established specialized departments in our company, and in various product development processes, we have evolved technologies of utilizing natural water of high quality groundwater and deep sea water. In addition to these technologies, while cooperating with government agencies, Goshu is actively working on researching new materials and health effects. 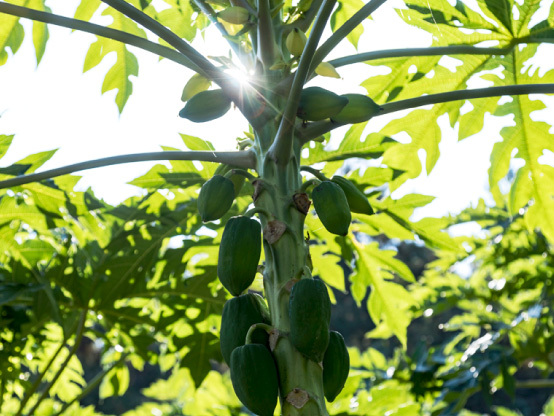 Goshu’s company roots as a research and development enterprise is in the study of papain enzymes started in 1965. Bath additives containing of the excellent proteolytic power and stability of papain enzymes are our long-selling products. In 2007 we opened our own research farms and have been working on with a consistent system for a variety of food with beneficial claims from material research. In order to explore the possibility and usefulness of deep sea water containing more than 80 kinds of minerals, the research started in 1996. We succeeded in practicing multistage seawater separation technology for the first time in Japan. We propose new skincare and bathing styles through our own developed products that make use of its health and beauty effects. What kind of things do people want now? We consider the needs of customers and trends. We are developing our unique water with beneficial claims and health food that are not only beneficial but also safe and have quality. The variety of our products is our pride, we didn’t stop, and we will never stop evolving. "Development of Research for Cell Culture Liquid and High Performance Cosmetics using Toyama Bay Deep Sea Water Isotonic Solution by Regenerative Medicine" was adopted as "Strategic Foundational Technology Improvement Support Operation in 2015 (Support Industry Program)" of Ministry of Economy, Trade and Industry. We are pursuing research through an industry-university collaboration basis and aiming for commercialization. Establishment of dedicated plant for BIB (Bag in Box) of mineral water. Opened direct shop GOSHU at JR Toyama station.